Catering specifically for curly, coily and wavy hair types, the Curl Charisma™ Rice Amino + Avocado Hydrating Shampoo from Briogeo works to cleanse, hydrate and revitalise locks. Fortified with Rosehip Fruit Oil, Rice Amino Acids and Tomato Fruit Ferment Extract, the lightweight formula gently eliminates impurities and product build-up, whilst controlling frizz and leaving curls perfectly defined. Shea Butter and Avocado Oil soften and Vitamin E nourishes so you can experience calm, manageable locks with enhanced shine and body. I have very curly hair (ringlets) that is dry and also very fine. I abandoned silicones and sulfates from my haircare regime several years ago and have never looked back. 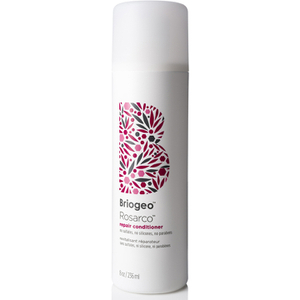 Briogeo's curl charisma shampoo meets my qualifications and is also paraben free. I never have to wash twice to get my hair clean. It cleans without stripping and my hair is well-prepped for conditioner application afterwards. Of all Briogeo's Curl Charisma products this is my favorite.